In Belgium, a 'Chamber-commission' has approved a proposal for a constitutional amendment, made by a 'government of running affairs'. It concerns an addition to Article 7, to be called 7b, which creates a requirement for a 'climate-law'. This law would have to provide to future governments with the goals, basic principles and modalities to enable them to enact an effective climate policy. This decision came about under political pressure, both locally and internationally. Let us take a closer look into this matter. 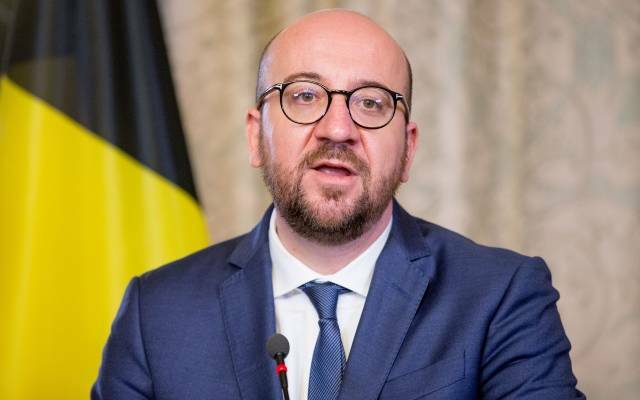 The Belgian government 'Michel' (named for the Prime Minister) offered its resignation to King Filip I in December of 2018, which the King, after deliberations, accepted. The majority of parties agreed that it would not be beneficial to hold early elections, considering the fact that elections for European Parliament and two levels of local government were already scheduled for May 2019, to which those elections could simply be added. This entails that the government 'Michel' loses the right to make any political decisions regarding anything but 'current running matters', as well as in matters of such urgency that not making a decision would be damaging to the nation. In my view, making the decision to quickly push through a proposal for an amendment to the Constitution AFTER having ceded their power via resignation, shows little respect for the citizenry of Belgium or for democracy. "Modalities" are "means and methods of implementation". In practice, these are: taxes, regulations, laws, governmental institutions for oversight and control. Translated into terms that affect the common citizen, they are costs, both direct and indirect, extra economic burdens which can eventually be carried by none other than the citizen, the individual, who is the component unit of 'the economy'. A quick word on 'goals and basic principles'. The idea that a government, especially the Belgian one (I'm a Belgian, I can still get away with saying that!) is capable of setting correct, realistic goals for the future, for the global climate is just utterly laughable. The injection of so-called "green" "basic principles" into our Constitution has, in my view, two possible consequences: Hypocrisy (talking the talk), or incredible damage; economical, humanitarian, and also to our basic civil liberties. Just imagine if, during the early days of industrialization when Belgium was still producing and exporting coal, 'green basic principles' like 'sustainability' were enshrined into the Constitution! Belgium STILL has significant reserves of coal. It just is not economically viable to extract it any more. Firstly, most of the shallow reserves have mostly been depleted. Some other countries can produce coal cheaper, so it's also cheaper for us to just buy their coal when we need it. Second, we no longer need the same amount of coal we used to, due to expanding our power production into other sectors. Last, but not least, the rising standard of living in Belgium long ago made it difficult to hire coal-miners at economical rates. A small diversion into a history lesson: at the time, various special interest groups were freaking out over the shrinking of the coal industry. The 'solution' that was implemented was 'guest-labour'. People from mostly Italy, Turkey and Morocco were given contracts to work in the mines and live in the country for a fixed period of time, after which they were supposed to return to their country of origin. By the time their contract ended however, many of these people had children here and many had grown accustomed to our welfare state. Combine this with a few socialist governments, and you get the end-result of many of these people being allowed to stay. Now, as far as immigration and social cohesion goes, these were some terrible choices. We had imported from the least educated and economically successful parts of other societies, and then had expressly abandoned any incentive towards giving these people reason to integrate into our own. On the contrary, would you bother trying to integrate if you were supposed to leave after your contract ran out? Through a policy of 'family-reunification' and dual-citizenship, these problems have only been further exacerbated over time, another shame of the government failing in its duty to handle complex problems to which it cannot accurately forsee the needed solutions to at the time of legislating their morality. In closing, the political pressure mentioned above is mostly coming from eco-radicals: 'Green' politicians from foreign nations and European institutions, coupled with indoctrinated children that were fed an even more expansive version of the ‘well-intentioned’ but ultimately misleading and oversimplified ecological mythos that I myself was taught as a child. People that apparently have nothing better to do, or do not know anything better or more productive to do with their time than making it more difficult for others to live their life in freedom, while they impose unreasonable demands on others that they understand next to nothing of the consequences of, all to congratulate themselves on how heroic they all are for “defending the planet”. This entire affair seems to me to be little more than the government attempting to write itself a blank cheque, both financially and politically; a cheque that the Belgian people will be expected to pay for with their sweat and blood.